If a Saraghina was a song, it would be the soundtrack of my son's life! It's my little guy's most favorite place in the world. The yummy pizza and neighborhoody feels has us all hooked. Brunch Faves: Capacolo pizza , Tiramasu and the wine comes by the Carrafe ya'll! If you are in need of an international getaway and want to skip the airport madness, this place is the perfect fix for you and the family! When you step into the doors of Colonia Verde, you are instantly transported. The delicious Latin American cuisine in their sun drenched patio or magical backyard never disappoints. I drove past this restaurant for quite some time and had no idea what was going on inside. Maybe because of the teeny sign on the door... A few friends kept talking about this yummy farm-to-table french spot and then one day it finally clicked that this was the place they have been talking about! The name may be hard to say, but the food is easy to fall in love with. Brunch Favs: Eggs Benedict, Zhe Hamburger, Pain Purdue, Great wine list, Interesting house made ice creams flavors. When I pull up to Le Garage's yellow exterior, my spirt instantly rises! This spacious, sun soaked dining room has such good vibes and and even better food! The mother-daughter duo behind the restaurant, who I've had the pleasure to get to know over the years are so charming and talented. Rachel is an interior architect and her mother Catherine, is a chef - restaurateur which explains the magic behind what they created! Make sure to take a look at the beautiful black and white portraits of France on your way to your seat. Can we say Buttermilk Berries Pancakes with Citrus-Ricotta Cream? Ugh, I swoon just writing about it! When we need a pancake fix, this is our spot. It can get a bit busy at times, so be prepared...but those pancakes are worth the wait! 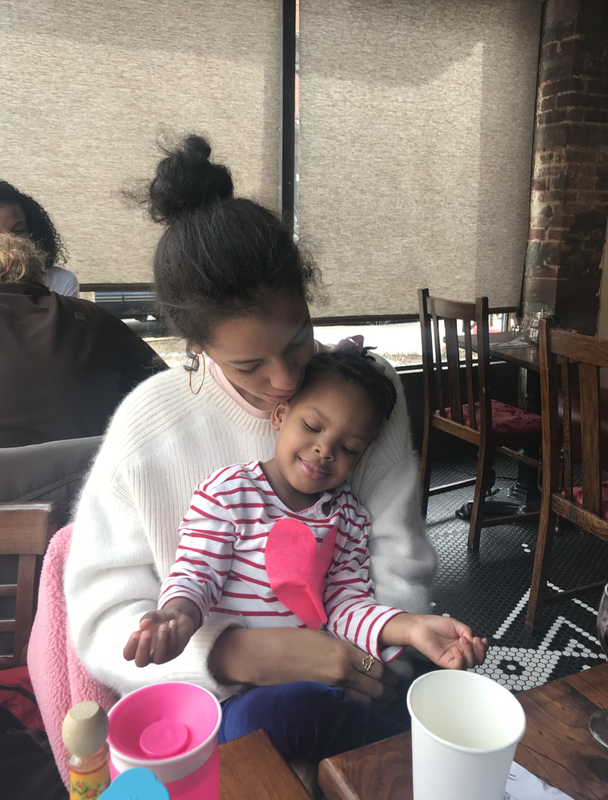 If you are lucky enough to snag a table outside on the sidewalk, you just scored plenty of room to park your stroller, scooter or whatever else you have with you for your after brunch activities at the nearby Fort Greene Park. We love Olea for the comforting Mediterranean eats and the overdose of charm. 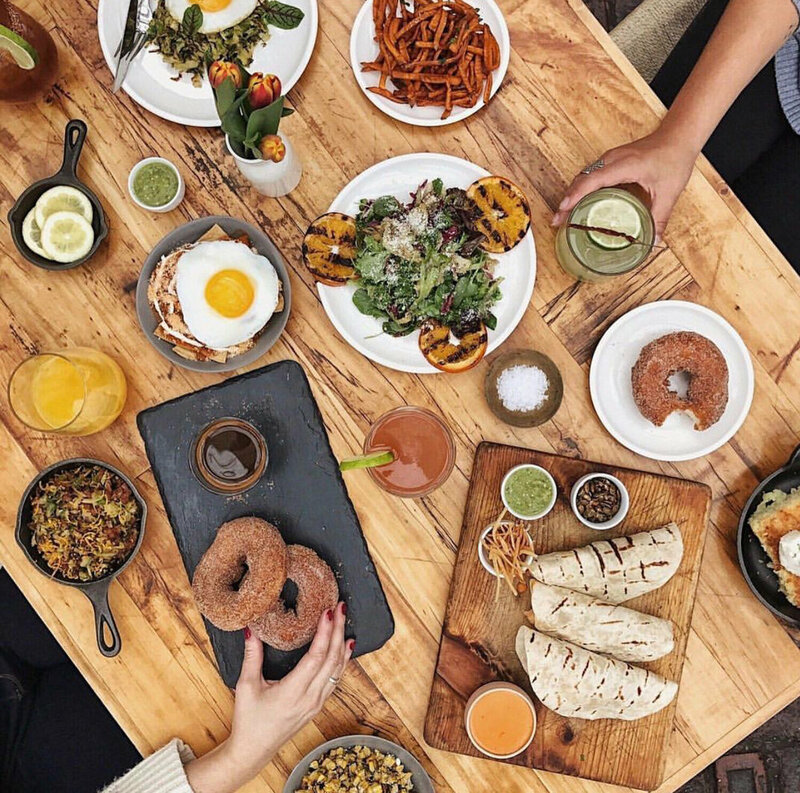 We've only been here once, but after our perfect experience, Evelina has secured a solid spot in brunching rotation! This beautifully designed space is super kid friendly with nice big banquettes and yummy house-made pasta that the kids devoured. If I'm in the mood for a chilled, low stress brunch, this french bistro is my top choice. 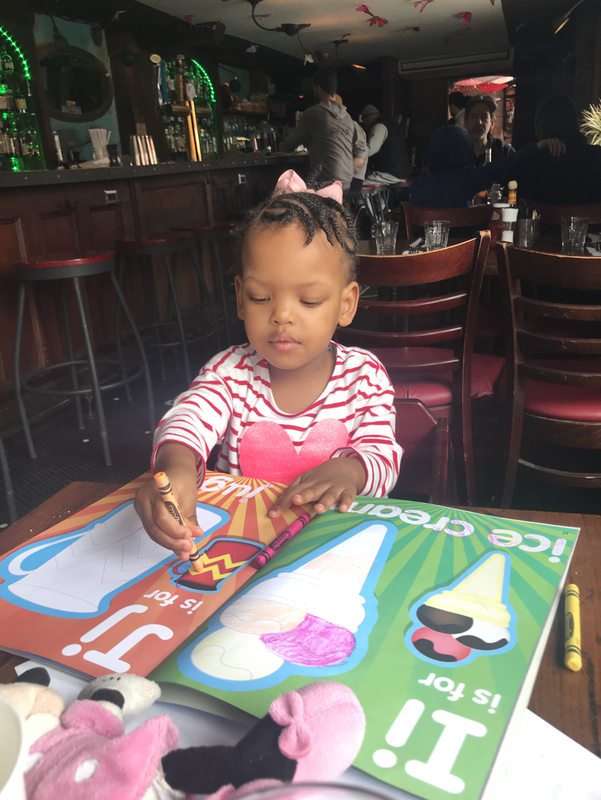 The service is fast, they have changing tables in the bathroom, activity place mats to distract the kids, along with a kids menu that comes with a scoop of ice cream! The friendly staff make eating out with these munchkins a breeze.